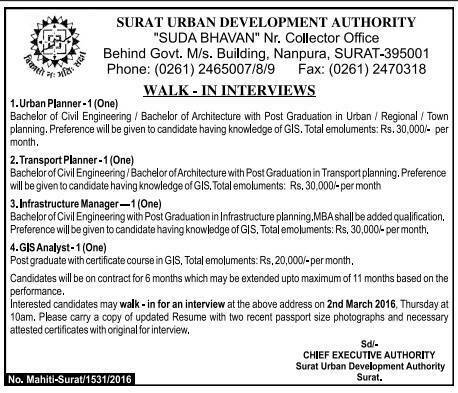 इंटरव्यु का पता : Surat Urban Development Authority, "SUDA BHAVAN", Near Collector Office, B/h. Govt. M/s. Building, Nanpura, SURAT-395001.